This website is all about Nature. The primary theme is the identification and distribution of wild creatures, and the main focus is birds - with a strong secondary focus on butterflies and dragonflies. I urge all visitors to read the Can I use these Images? page prior to copying anything from this site - thanks! DEAR VISITORS: I have decided to offer you the option of donating to the cost in money and time for me to provide the content. This remains a non-commercial site, in that I am not selling anything. I appreciate feedback from everyone and you are under no obligation to donate; but if you value the content and want to help me defray the costs of the effort (click on the PAYPAL button below), then that's fine too - and I thank you! A section showcasing the wonderful birds and bugs at the Halff Brothers Ranch in South Texas. 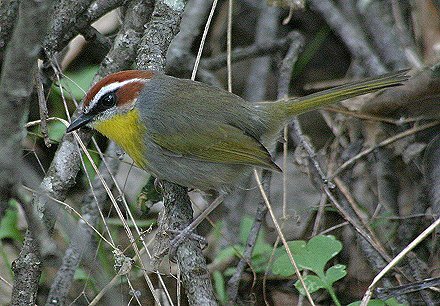 For photos taken in the upper-central western foothills of Ecuador, visit the Tinalandia website. My favorite location in Ecuador - Cabanas San Isidro - has a few of my photos on the website.